Another movie worksheet. The film is quite complex (and so is the comic), so if you’re planning to use this activity, you should probably address it to upper-itermediate or advanced adult students. 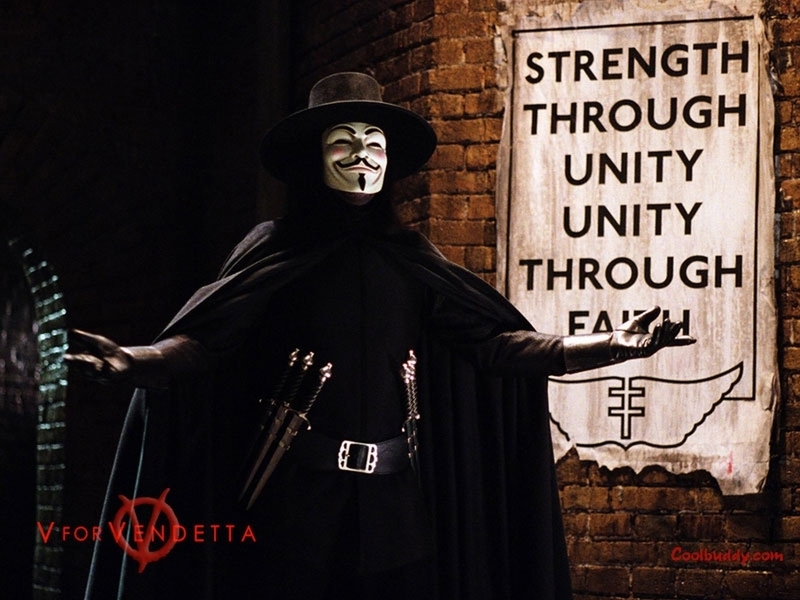 V for Vendetta is a graphic novel written by Alan Moore and illustrated by David Lloyd. The graphic novel depicts the dystopian story of a man and his quest for revenge in order to right the wrongs of society. The story is set in England, in 1997, after a nuclear war that has left most of the world devastated. There is no Prime Minister running the UK government anymore, but rather a fascist dictatorship known as Norsefire, which is making use of every possible means to control the population, very much like in 1984, where people are subject to constant control by means of surveillance devices. The government in V for Vendetta is divided into different subgroups including “The Finger”, which stands for the secret police; “The Ear”, which represents audio surveillance; “The Eye”, representing video surveillance; “The Nose”, which is the police and “The Mouth”, which is represented by the British Television Network and that exerts control through propaganda. Guiding them all, there is “The Head”, the leader of the party. 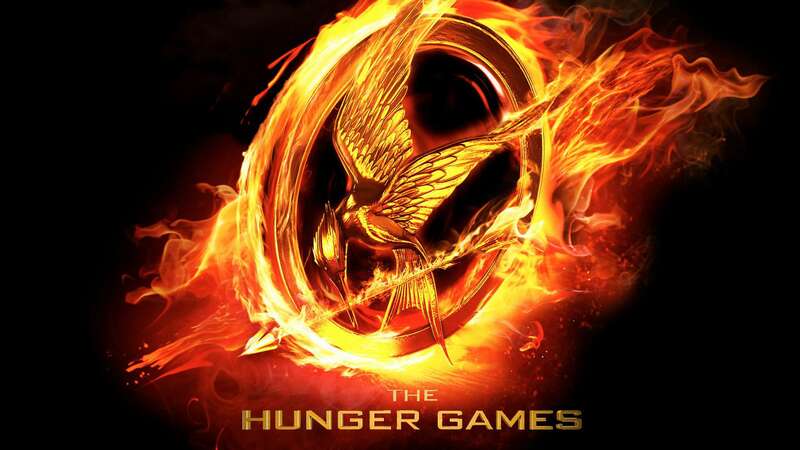 The Hunger Games is the first novel in a series of three books by American writer Suzanne Collins. The books depict the fictional dystopian nation of Panem, a territory divided into twelve districts and an advanced metropolis under the name of The Capitol, both located in what used to be North America. The story is told from the point of view of a sixteen-year-old girl named Katniss Everdeen who lives in District 12 and who becomes an unwilling volunteer for the annual pageant commonly known as “The Hunger Games” in order to take the place of her sister, who had been previously chosen as a tribute for the Games. These games are a televised show in which 12 girls and 12 boys from each of the districts are forced to participate. The premise is simple: the Games must have a sole winner who, in order to become the champion, must end with the lives of the rest of the tributes. Katniss, together with Peeta Mellark, the other tribute from District 12, travels to The Capitol and there meets their mentor Haymitch Abernathy, the rest of the tributes and other relevant characters. From her arrival onwards, Katniss describes how each of the tributes participating in the Games is killed or dies. Though the idea of a bunch of kids being forced to kill each other in some sort of contest is not new (see Battle Royale), what is indeed new to The Hunger Games trilogy is the fact that Suzanne Collins never forgets that the readers she is targeting for are teenagers. Thus, she doesn’t dwell on gruesome details on how the different killings are perpetrated but instead focuses on what her main character, Katniss, feels. You are on the planning committee representing your country for an international cultural festival in London. Write a proposal for the festival organiser suggesting what should be included in the festival to represent the culture of your country and explaining why you think the aspects you have chosen would be of special interest. The aim of this proposal is to outline my suggestions with regards our country’s contribution to the international festival in London. There is no denying the fact that Spain’s identity has been shaped by its Jewish, Muslim and Catholic heritage. Furthermore, it is the way in which these cultures intertwined back in medieval times, what owes for many of our traditions. Historic religious diversity is best felt nowadays in the wealth of monuments scattered throughout Spain’s geography. Therefore, I suggest we show a photographic display of the most representative landmarks followed by a guided online tour of the Alhambra in Granada, Santa Maria La Blanca in Toledo and Santiago’s Cathedral in Galicia, representing Muslim, Jewish and Catholic heritage respectively. Spain has a wide range of outdoor activities to offer. Should visitors find themselves at a loss as to which destination choose, our DVD will give them advice on which are the best holiday locations. This includes information on Madrid and Barcelona’s nightlife, impressive wildlife sanctuaries in the Canary Islands’ and windsurfing shrines such as San Sebastian or Cadiz. Spain is a land that blends tradition and innovation. In order to introduce participants to this unique mixture of new and old art representations I suggest that Javier Sierra, one of our most international writers, gives a lecture on the Prado Museum, which has recently been subject to one of his novels. In addition to this, we could also offer a live flamenco performance. For the latter, Estrella Morente and Joaquin Cortes would be obvious choices. I trust that the scheme outlined in this proposal meets with your approval.